1. 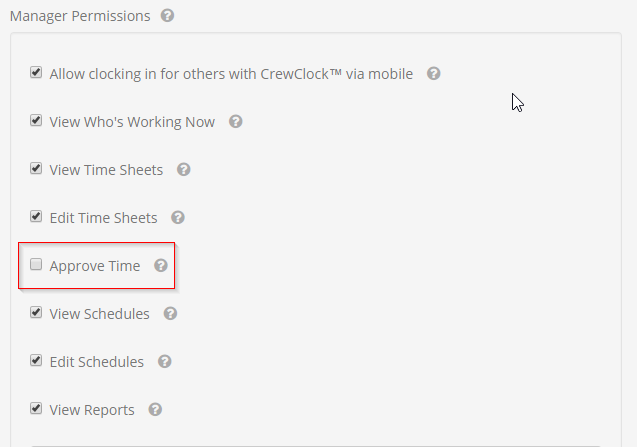 To enable timesheet approvals for your ClockShark company, go to Admin > Company Settings, and scroll down to the pay period dropdown. 3. Click the "Use Approvals" radio box. After you have enabled timesheet approvals, a new option will appear underneath your Time Sheets tab in your navigation bar. 2. Date Selection - Choose by date the timesheets you would like to approve. Click the date field to customize the date range. By default, ClockShark will display the previous pay period. 3. Filter Selection - Find the right group of timesheets to approve by department, location or individual employee by filtering. You can also hide/expose timesheets already approved with the "Include Approved Time" box. 4. Approve Timesheets - Approve each timesheet by clicking the blue check box on the right. Each employee's gross hours worked for the selected dates will appear on the same row as their name. Approved timesheets display a green check mark in the "Approved" column. Once you have approved an employee's time for a pay period, on the View Time Sheets screen, all time segments within that time frame will indicate that they've approved. 1. Edit First, Approve Last - To maintain integrity and accuracy, editing is disabled on timesheets that have already been approved. To edit an approved time segment, you must first "un-approve" the time segment. You can do this by going to Time Sheets > Approve Time Sheets and clicking the cancel icon. 2. Alert Yourself to Sudden Syncs - If an employee has any unsynced time activities recorded on their mobile device, the time activities may appear in their weekly timesheets after those timesheets have been approved. 3. 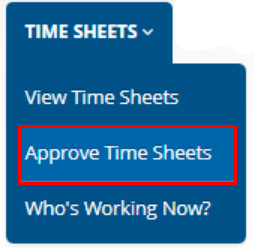 Pass It Along - Approving timesheets is a new manager permission that you can give to employees/supervisors you want to approve timesheets. To enable this permission for an employee, navigate to Admin > Edit Employee and check the radio box "Approve Time". Will my employees see that their timesheets have been approved from their mobile app? How can I edit a timesheet after it has been locked and approved? Will my employees be notified when their timesheets are approved?